When you order a balsam fir tree from Christmas Farms, you know that your tree will give you the perfect centerpiece for your decorations. Having the most “traditional” look to it, our balsam fir will bring joy and fond memories of years past celebrating the holidays. The tapered shape and deep green of the balsam fir gives it the perfect appearance for your lights and garland, so you can be sure your tree will satisfy. With even spaced, strong branches, your ornaments can hang with ease. Possibly the best part of your balsam Christmas tree is the fragrant scent that it brings to your home. Carrying a traditional “Christmas tree smell,” the balsam is a great option for your home to appeal to all the senses during the holidays. You can always accent this with candles that are holiday scented, but the balsam tree gives you an easy way to kill two birds with one stone by making your holiday décor look and smell great. 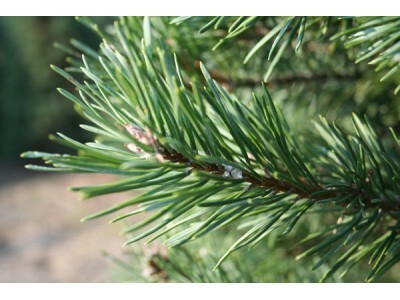 The needle retention of the balsam fir tree is one of the best that we sell, meaning your Christmas tree will stay fresh for the entire holiday season if it is properly cared for. There’s nothing worse than your tree falling apart before the holidays are done, so make sure you get the best trees possible by coming to Christmas Farms. If you need the best Christmas tree possible for your home this holiday season, then the quality trees at Christmas Farms are exactly what you need. With over 100 acres of farmland for our trees, we guarantee that we can find the perfect tree for you.